-The sea level has significantly changed throughout the Earth’s history. 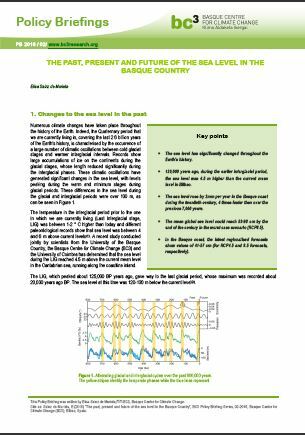 -120,000 years ago, during the earlier interglacial period, the sea level was 4.5 m higher than the current mean level in Bilbao. -The sea level rose by 2mm per year in the Basque coast during the twentieth century, 4 times faster than over the previous 7,000 years. -The mean global sea level could reach 53-98 cm by the end of the century in the worst case scenario (RCP8.5). 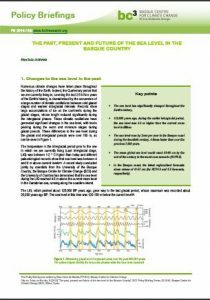 -In the Basque coast, the latest regionalised forecasts show values of 41-57 cm (for RCP4.5 and 8.5 forecasts, respectively).